Have your employees been asking for solutions that empower today’s mobile work style? Do you need to provide better control over access, devices, and data? The comprehensive Microsoft Enterprise Mobility Suite (EMS) with CloudRoute provides a flexible, pay-as-you-go solution that helps you securely meet the needs of your mobile workforce. With CloudRoute, you’ll have access to the highest quality products, resources, and services. This equips your business with the tools you need to deliver an exceptional customer experience every time. Traditional management solutions are complex and require highly trained specialists to implement. It can often take weeks or months to gain insights into the health of workloads running in cloud environments. EMS gives your users secure, frictionless access to your SaaS and corporate productivity apps, no matter where they are working. At the same time, IT security teams have peace of mind, knowing that company data is secure and IT policies are enforced. This gives you the edge by empowering your users to drive business away from the corporate network. Overseeing on-premises management infrastructure is complex and time consuming. Trying to implement or use these solutions across multiple clouds can be challenging at best and ineffective at worst. EMS is simple to set up, allowing you and your customers to deploy in hours rather than weeks or months. 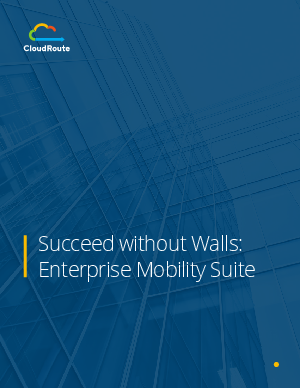 Read “Succeed without Walls: Enterprise Mobility Suite” and understand the cost savings and benefits of using a state of the art Enterprise Mobility Management platform today.